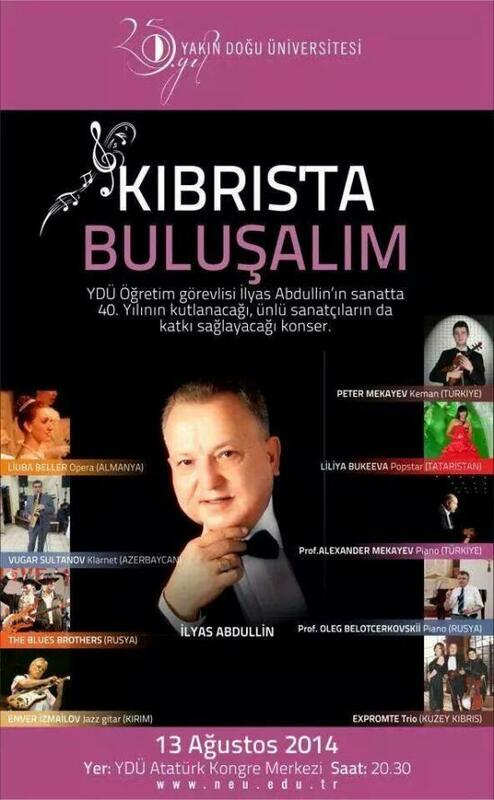 A palette of great musicians is what we can expect for the concert at the Near East University grounds, in the Atatürk Congress Centre at 20.30 hrs. As I have heard today, Mr Ilyas Abdullin is lecturer at the Faculty of Music at the Near East University; he has studied at the same university in Baku as Rauf Kasimov and was playing several times in Bellapais as part of the Trio Exprompte. Also the other musicians are well known to Bellapais concert goers.